Australia has the highest pregnancy success rates with single embryo transfers, and offers a world-class standard of care for IVF and other fertility treatments. 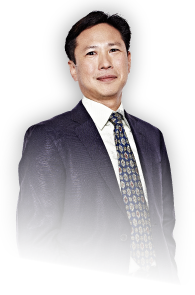 As well as being able to put international patients at ease with his understanding of their needs and concerns, Dr Kan also has access to the latest IVF and fertility technology and techniques as an IVFAustralia Fertility Specialist. Dr Kan will work with your local physician or specialist to develop a tailored treatment plan and manage your IVF cycle. He will arrange a consultation with you via phone, so he can explain in detail the most effective IVF or fertility treatment to give you the best chance of success. This means you only need to spend as little as two weeks in Australia for your final monitoring, egg collection and embryo transfer. Dr Kan’s nursing team can advise you on the treatment fees, including all medications and procedures in Sydney. They can also help you arrange your travel and accommodation during your treatment. If you are an Australia resident living overseas, you may be able to access the Medicare rebate. Contact us to find out more about IVF treatment from overseas. > Find out more about IVFAustralia’s services for international patients.